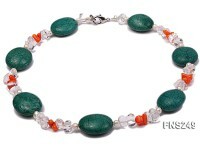 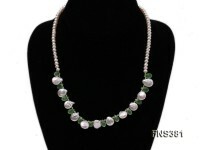 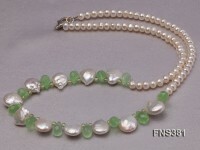 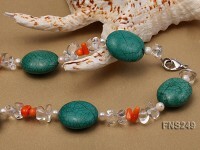 What you are looking at is a very beautiful single strand necklace. 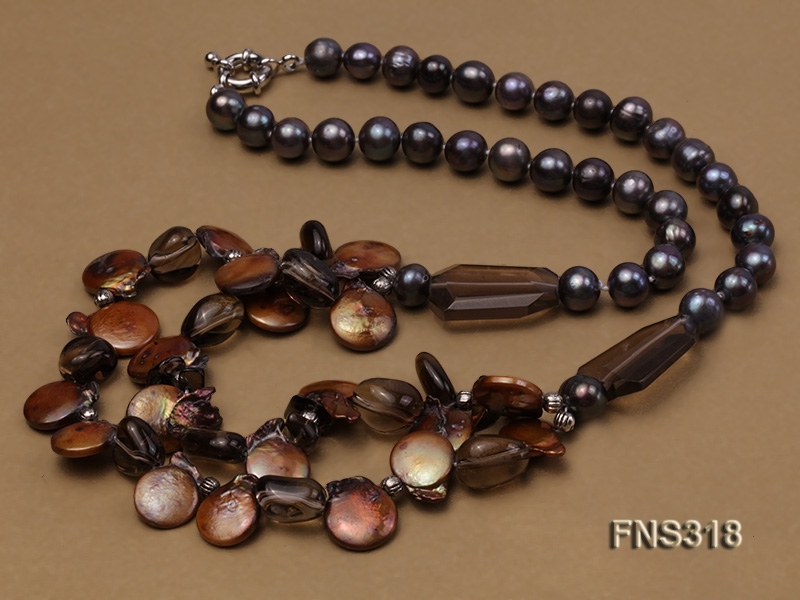 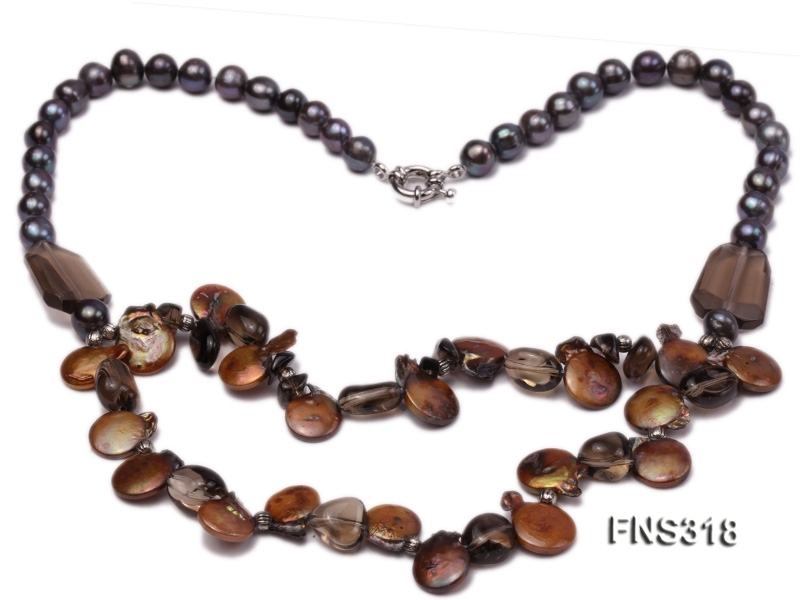 It is made of 9-10mm black round freshwater pearls, crystals and biwa pearls as the decoration. 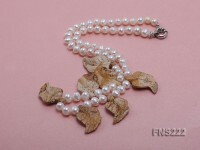 The white gilt clasp for this necklace is also unique and it is strong enough to cover the weight of the necklace. 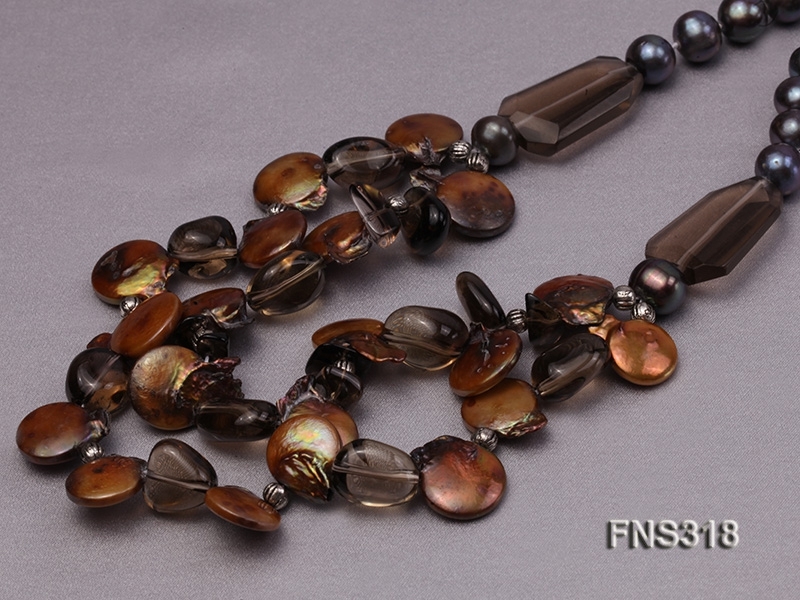 The length is 22.5 inches in length and it is reslly of exquisite handcraft. 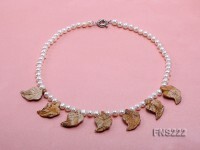 This necklace’s unique and generous design is the classic fashion with a product that combines the beauty.